It's time for a new Mood Board challenge at Life.Paper.Scrapbook. today. You can use this awesome mood board in any way it inspires you. Which can be the colors or any item you see in the pictures. This challenge is sponsored by Mei Li Paperie. I went for a picture of one of those simple fun moments and this one was perfect because of the colors in the green hat. I still had a 6x6 paper pad from the Glitz Sunshine in my Soul collection and some of their sticker sheets. The colors in this collection were a perfect match. The background mist and splatters is the Heidi Swapp Colorshine Seafoam. Based out of Hong Kong, Mei Li Paperie is the world’s newest online scrapbooking shop. Shipping worldwide, they strive to bring everyone the latest scrapbooking supplies no matter where you are. With low shipping rates (free for orders over $50USD!) their goal is to get you what you want when & where you want it… not six weeks later! They are the answer to those long wait times and crazy shipping fees that have plagued international scrapbookers. I hope this mood board inspires you too! Be sure to link up your projects based on this mood board overhere at Life.Paper.Scrapbook. for your chance to win a $35 giftcard to the Mei Li Paperie store! Loving the colours on here!! Beautiful page! Lovely cool colors. I've never created a mood board nor done any challenges but it seems like a great way to add some new options to my scrapbooks. 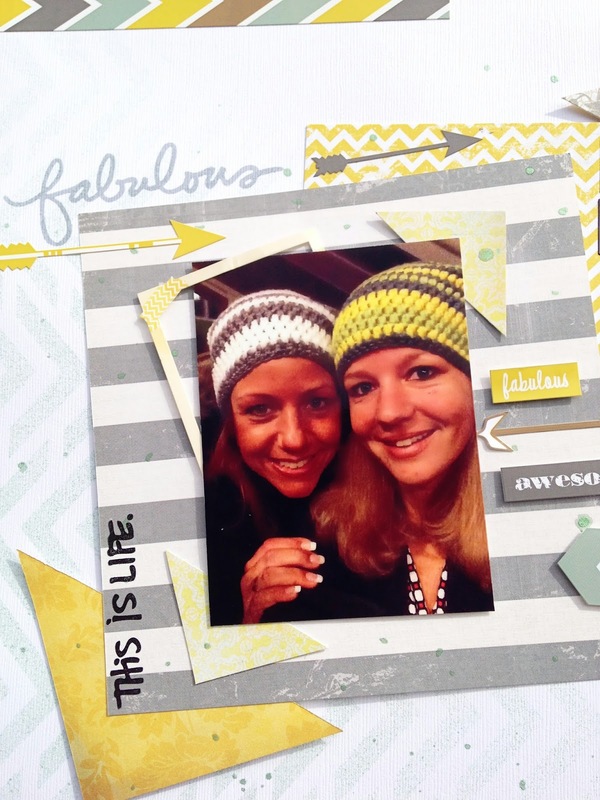 Love this layout, Danielle! The design is fabulous! Love the photo and how you made the layout! Especially the triangles, I have never done that but no I want to try it out! love the entire aspect of this page! so cool! Lots of fun layers and details on this one! This is so cute Danielle! 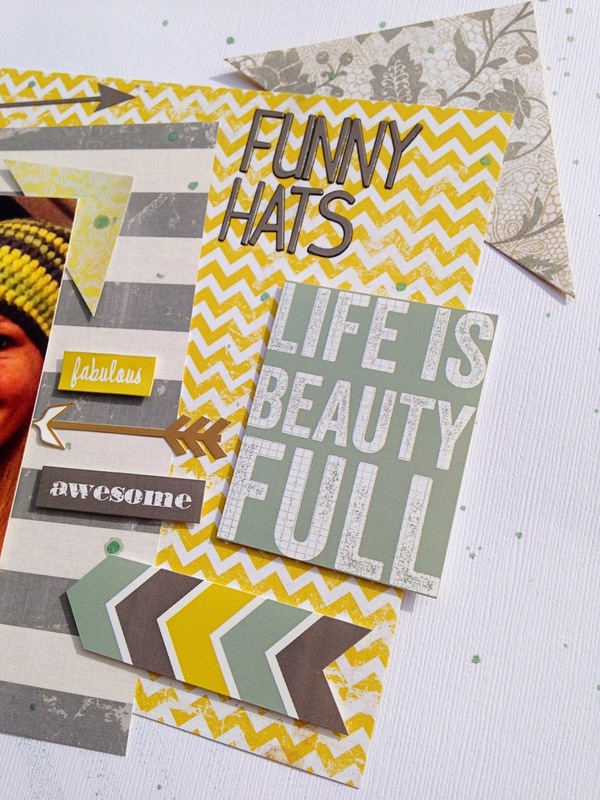 I love the fun design and the great mix of Yellow and Gray! 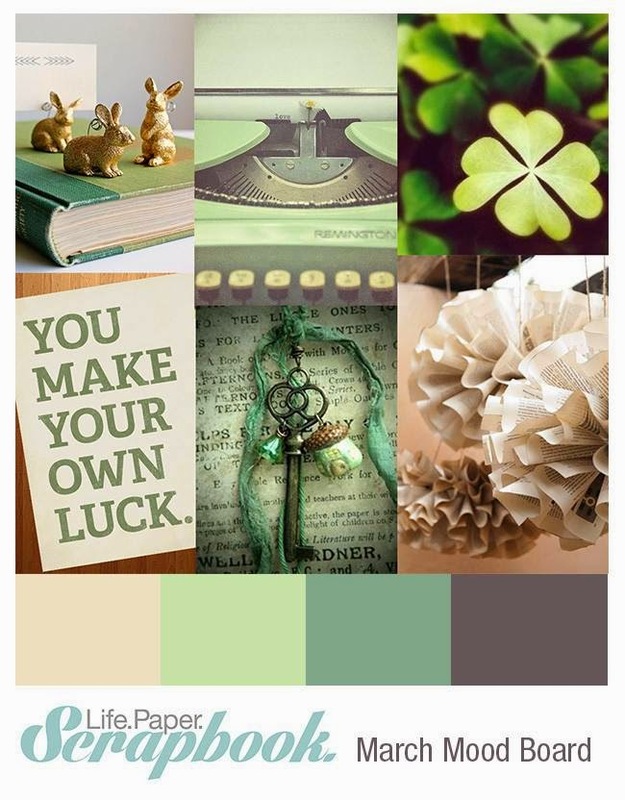 I am SO inspired by this mood board, but I hardly have any green supplies in my stash. I love the idea of pairing grey with yellow!